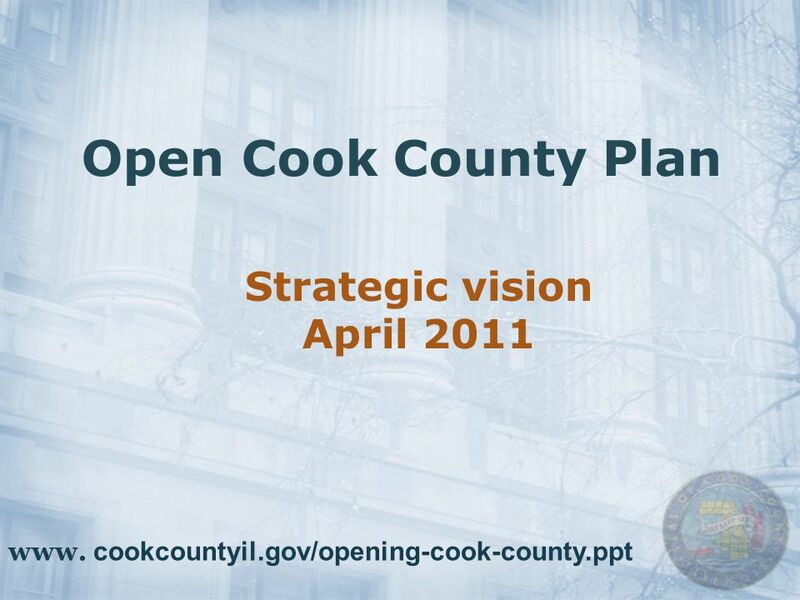 Open Cook County Plan Strategic vision April 2011 www. 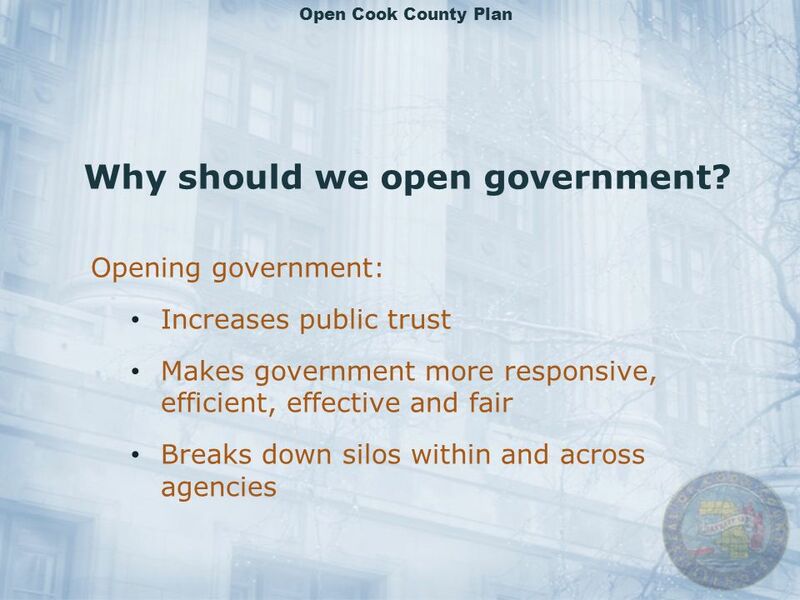 cookcountyil.gov/opening-cook-county.ppt. 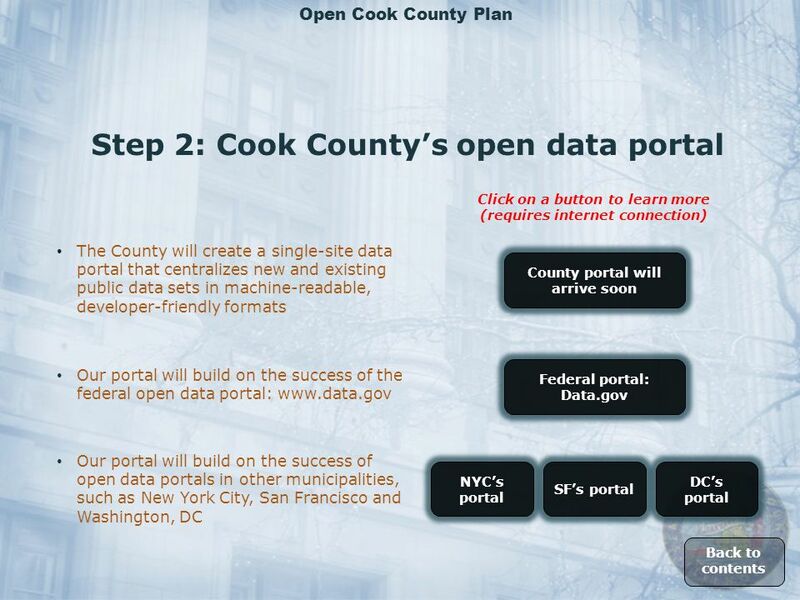 Download ppt "Open Cook County Plan Strategic vision April 2011 www. 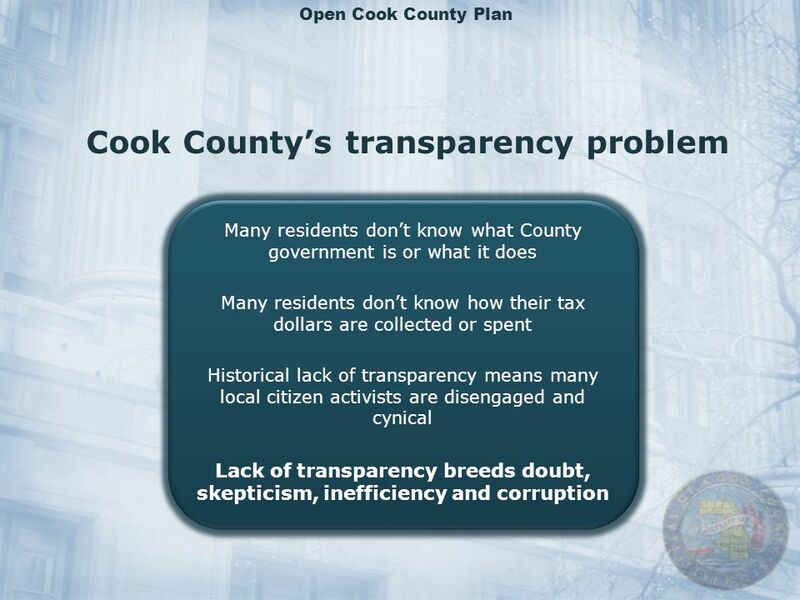 cookcountyil.gov/opening-cook-county.ppt." AHRQ Quality Initiatives: Driving System Transformation through Local, Regional and National Collaboration Carolyn M. Clancy, MD Director Agency for Healthcare. 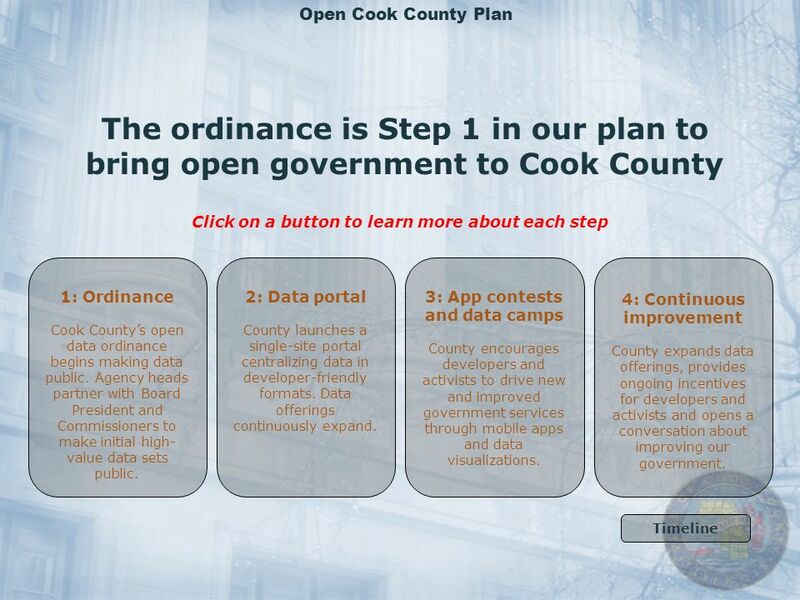 Enrollment Through Volunteering By: Tobin Van Ostern, Advisor for Strategic Partnerships at Young Invincibles. Digital Libraries 2011 Digital Libraries for North Africa Robert Schware, PhD Managing Director, Global Learning Portal Academy for Educational Development. Presentation at The Conference for Family Literacy Louisville, Kentucky By Apter & O’Connor Associates April 2013 Evaluating Our Coalition: Are We Making. Copyright 2009 bSolv. 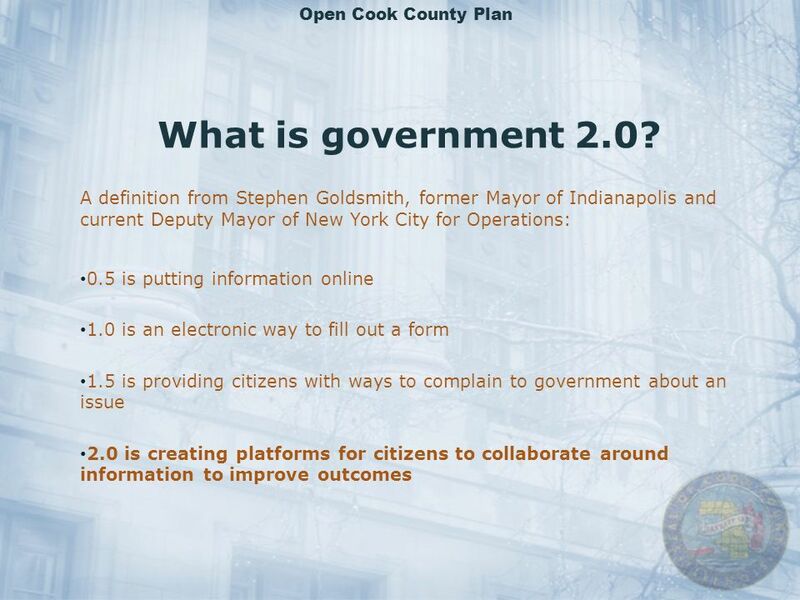 All rights reserved Citizen360 Product Overview Introduction to the Citizen360 product suite Version 1.4. East Midland Clinical Senate 7 Day Services Programme Chesterfield Royal Hospital NHS Foundation Trust and East Midlands Clinical Senate. Growing Consensus on Health Care Reform? What’s In the Wind and What Lies Ahead Washington Association of Health Underwriters March 4 and 5, 2009 Kathleen. 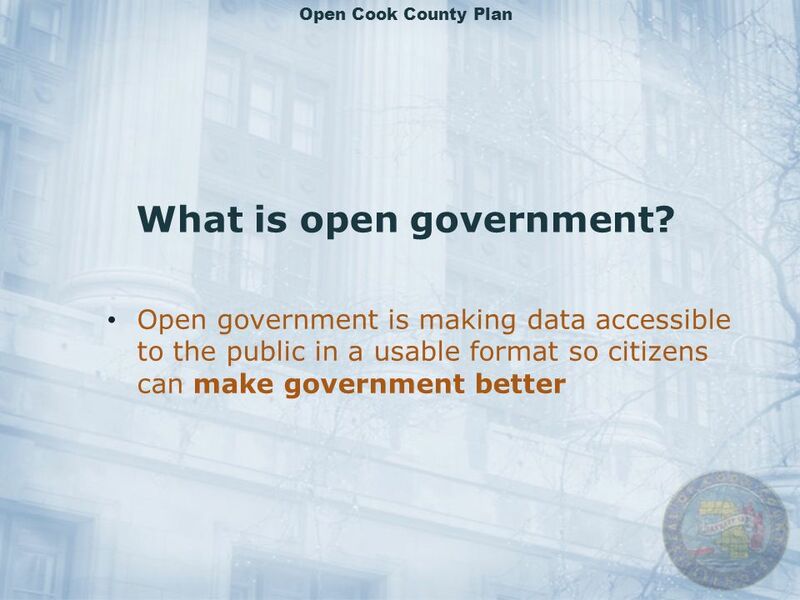 Webinar: Developers and Federal Agencies: Can we talk? August 11, 2011. Appalachia’s Bright Future Harlan Center April 20, 2013. 2012 Indiana 4-H Congress Doug Keenan, 4-H Youth Development Extension Educator. Fostering transparency in land ownership, use and administration - Macedonian experience State advisor: Mr. Goce Gruevski Washington DC, March 2014 Republic. BEDES & SEED Building Energy Data Exchange Specification & Standard Energy Efficiency Data Platform April 14, 2015 Robin Mitchell Lawrence Berkeley National. POWERED BY PRO BONO Presenter: this deck is a starter deck for an “intro to Powered by Pro Bono.” Top 3 goals for this presentation: 1.Explain powered. 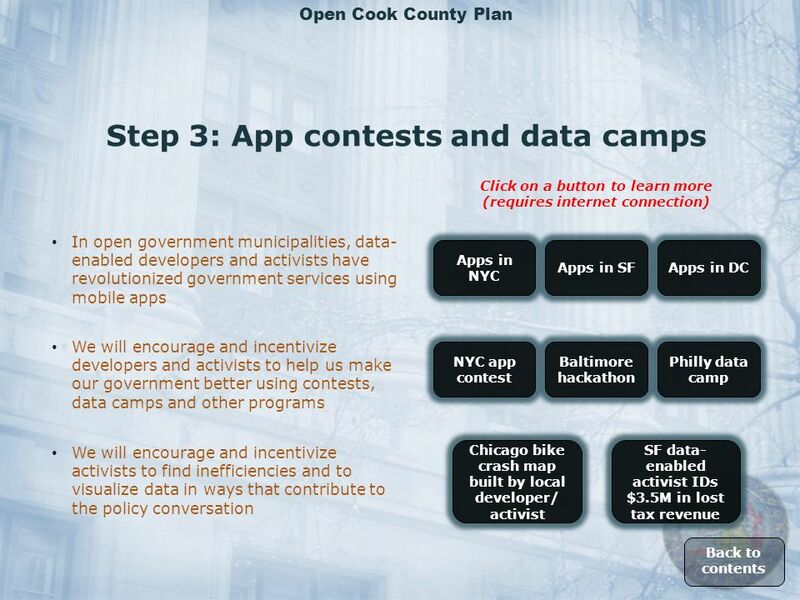 Homewood Innovation Zone Update Urban Innovation21 is a nonprofit organization that provides a variety incentives (grants, tax incentives, interns, business. Keynote Address Jeff Torczon, CEO. Welcome  Welcome to the first annual Infinity Software User Conference  Thank you to our attendees and organizers. 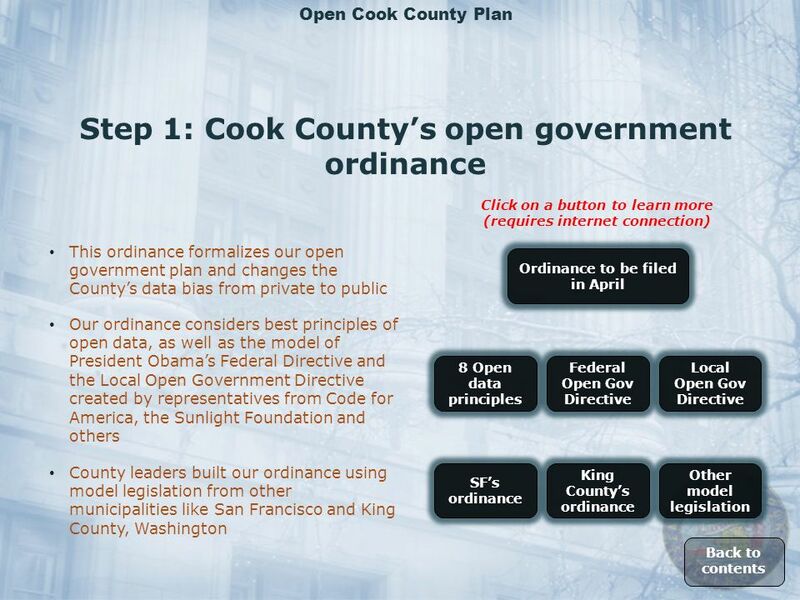 Full-Service Community Schools TASK FORCE Staff Lead: Jane Nicholson.